Pre-production is all about planning a shoot before the camera starts rolling. This planning involves developing concepts, scripting, budgeting, securing the crew, hiring talent, and preparing equipment. One of the most important pre-production undertakings is creating storyboards. Good preparation is part of every production, and storyboards are one of the most powerful tools used in planning. Simply put, storyboards are visual representations of all the elements that will make up a video, animation, e-Learning program, or interactive media sequence. 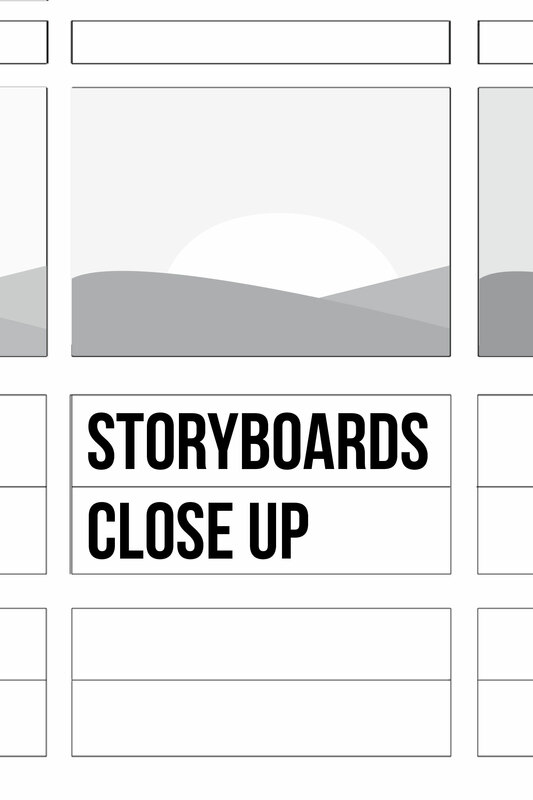 Storyboards are a shot-by-shot illustrated progression of frames that specify video, images, audio, graphics, typography, and (when needed) user and audience interactivity. 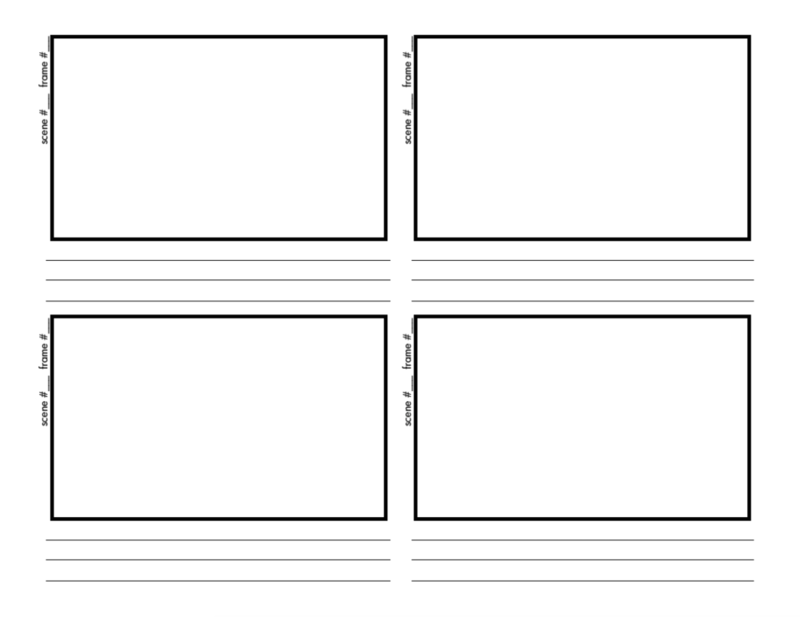 An initial storyboard may be as simple as ideas scratched out on paper. Those sketches are then transformed and refined into draft illustrations, which will likely go through several revisions throughout the project’s development. Storyboarding was first developed in the 1930s at Walt Disney Studios. Disney animator Webb Smith acted on the idea of drawing scenes on separate sheets of paper, and pinning them to a bulletin board in sequential order, creating the first storyboard . In the biography, The Story of Walt Disney (Henry Holt, 1956), Walt’s daughter, Diane Disney Miller, recalls that the first complete storyboards were created for the animated short The Three Little Pigs (Walt Disney Productions, 1933). Disney recognized the necessity for studios to maintain a separate “story department” with storyboard artists because he understood that the story gives audiences a reason to care about the characters. In Paper Dreams: The Art and Artists of Disney Storyboards (1999, Hyperion Press), John Canemaker explains that the first Disney storyboards evolved from “story sketches”. These sketches were like comic book drawings, and illustrated concepts for animated shorts like Plane Crazy (Walt Disney Productions,1928) and Steamboat Willie (Walt Disney Productions,1928). One of the first live action films to be completely storyboarded was Gone With the Wind (Selznick International Pictures, 1939). 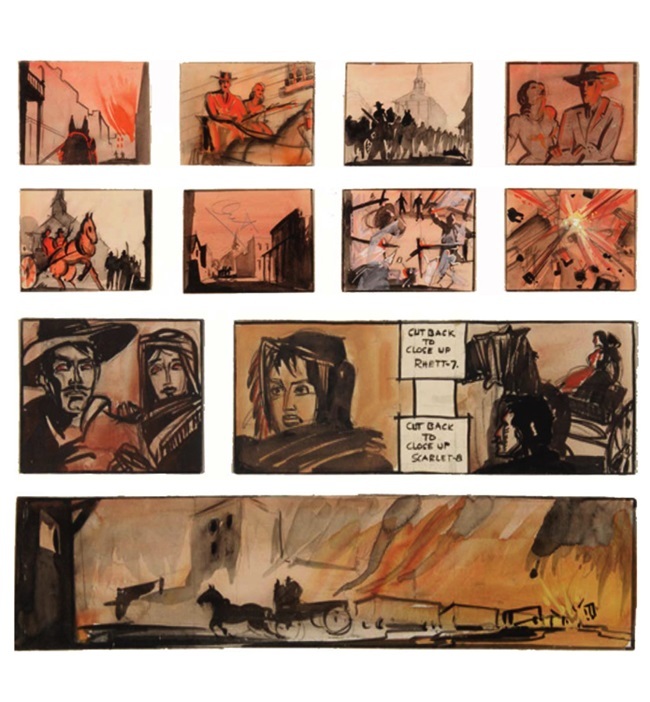 To design the film’s “look”, William Cameron Menzies painted watercolor storyboard sketches by for every scene of the picture. Selznick was a huge advocate for “pre-cutting” to save time and money. He reportedly claimed in a 1937 memo, “I hope to have Gone with the Wind prepared almost down to the last camera angle before we start shooting.” Can you imagine what an undertaking that was? Selznick was constantly rewriting scenes, in some cases the day before shooting – and urging staff to “substitute simple angles that do not take time” for “elaborate angles”. The storyboards pictured here detail the shots required to create the burning of Atlanta scene on the MGM lot. Menzies’ visual trademarks – silhouettes, diagonal and skewed perspectives, and low horizon lines – are all artfully detailed in his storyboards. Menzies’ talents and abilities to translate Producer David O. Selznick’s ideas into drawings and paintings won him an Academy Honorary Award for “. . . outstanding achievement in the use of color for the enhancement of dramatic mood.” It was “lights, camera, action!” from that point on, and the popularity of storyboards in live-action film production became a standard for pre-visualizing films. The storyboard is the blueprint that communicates your vision to the cast and crew. By planning and drawing each shot beforehand, the production crew can actually “see” what each scene (and ultimately the entire program) will look like. They will have a clear understanding of what they need to accomplish. 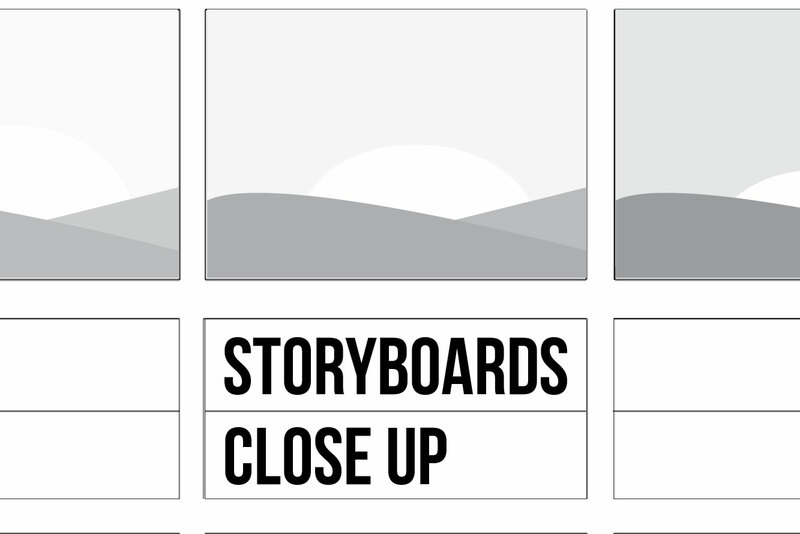 Storyboards show you how shots work together, and help you plan your shot lists. They help dictate the story sequence, focus, timing and pace, and define the technical parameters and requirements of a shot or scene. This ensures you have adequate coverage, opens you up to new ideas, and helps you find trouble spots in your scenes. 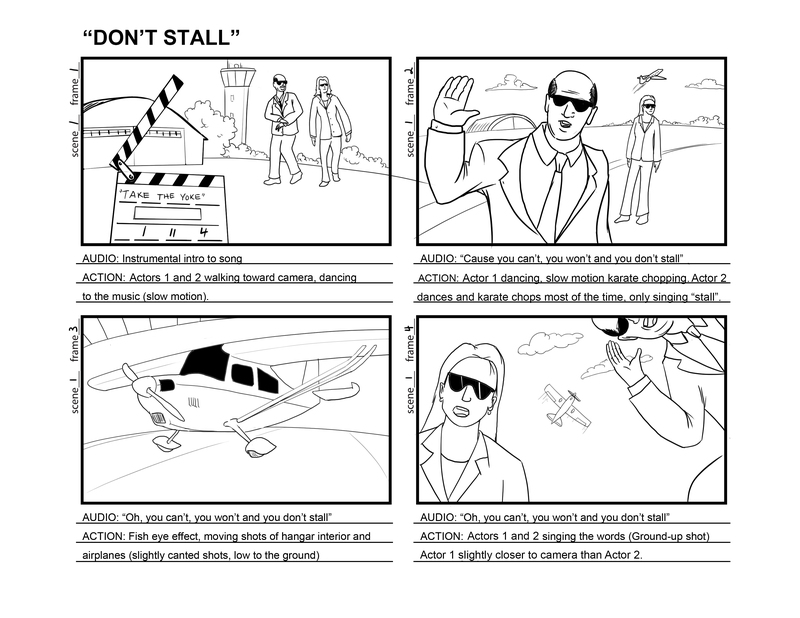 Storyboards also help to maximize time and resources before shooting begins and while on set – and that amounts to saving money. Think about it, altering a storyboard during pre-production is far less complicated than changing things in the middle of a shoot. Alfred Hitchcock was known for his extensive storyboards, and the meticulous attention to detail in them. Hitchcock worked in advertising before setting foot in the film industry. He was an experienced illustrator – designing title cards for silent films, which likely influenced his visual style. One of my personal favorite Hitchcock films, Rear Window (Paramount Pictures, 1954) is no exception to the Hitchcock storyboard tale. I don’t have storyboards to show you, but you can watch the opening sequence to get a feel for Hitchcock’s visual style, and attention to detail. However, even when storyboards were made for a Hitchcock film, Hitchcock did deviate from them, showing that sometimes, a director has to be flexible enough to change a shot or scene during its actual production. An interesting rumor about Hitchcock: it is said that since his storyboards were so accurate, Hitchcock never bothered looking through the viewfinder. Is your shot an interior or exterior shot? Is it at an upward angle, or downwards angle? Where are the actors positioned? Are they in a close-up, medium or long-distance shot? Camera movements like zooms, pans, or tilts are also included in storyboards, along with any special gear, audio sound effects, props, or lighting needed. Storyboarding allows you to pre-visualize who or what will be on camera, where the shot will be, shot composition, and the order of events. This will help you to define resources, manage time, focus the crew, and determine the best medium to use for each part of the production.